Every so often, I write about what makes libertarianism special and different. In the future, though, I think I’ll simply share this excellent cartoon. By the way, I actually think the cartoon is a bit unfair to conservatives. 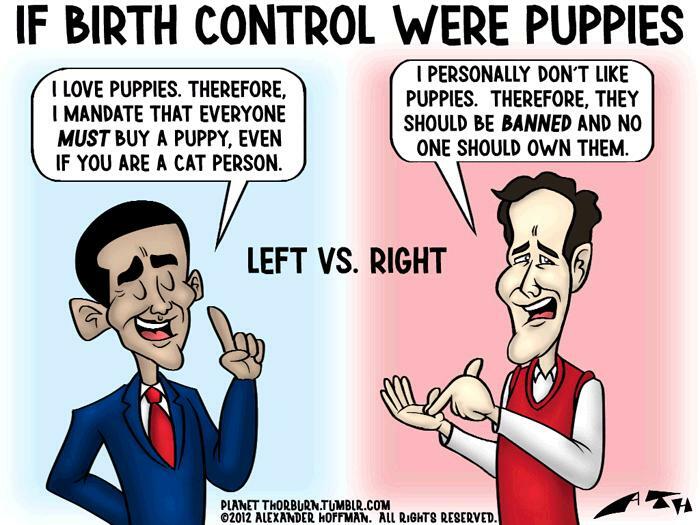 Unless I’m missing something, the right-wing position on birth control is to resist subsidies and mandates. As I recently wrote, that’s the economically sound and libertarian point of view. That being said, one of the most obvious distinctions between libertarians and conservatives is that the latter do sometimes favor laws restricting private behavior when there is no harm imposed on third parties. The misguided War on Drugs is a good example, as illustrated by this Gary Johnson speech,this video, and this AP story.